Thomas Tunney, winner of the 2017 MI Great Artist contest. Thomas Tunney of Commerce Township had never exhibited his art in public until Park West Gallery displayed five of his works for the 2017 MI Great Artist contest. So when Tunney, 57, heard his name announced as the winner of the contest during a reception held on October 25 at Park West Gallery, he was amazed and humbled. “It’s exciting, it entices me to keep working and spend more hours painting,” Tunney says. MI Great Artist is an annual competition launched in 2012 by Oakland County and Park West Gallery to support up-and-coming artists from Michigan. 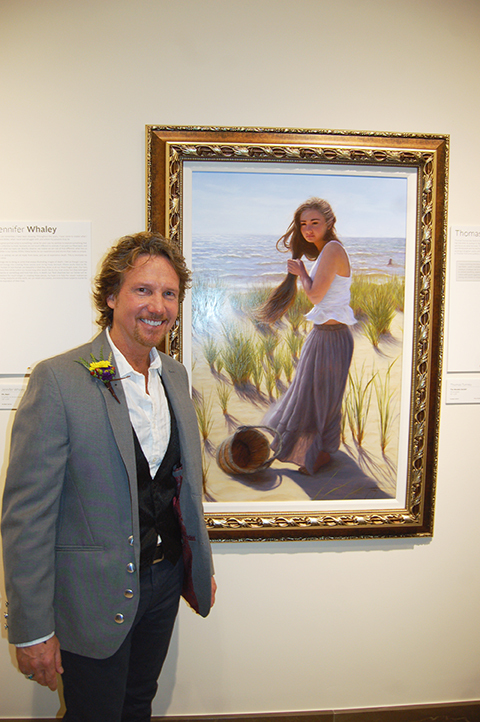 Tunney was selected from a field of 232 artists from eight different Southeast Michigan counties, narrowed down by more than 34,500 public votes and a panel of distinguished judges. Park West Gallery Founder and CEO Albert Scaglione and Oakland County Executive L. Brooks Patterson at the 2017 MI Great Artist reception. 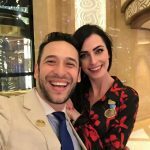 Park West Gallery Founder and CEO Albert Scaglione, who served as a MI Great Artist judge, said one of the best decisions he ever made was moving to Michigan and is glad to support the talented artists who reside in the Great Lakes State. Park West Gallery Founder and CEO Albert Scaglione presents Thomas Tunney as the 2017 MI Great Artist winner. Tunney’s daughter, Brittney, inspired many of his paintings. 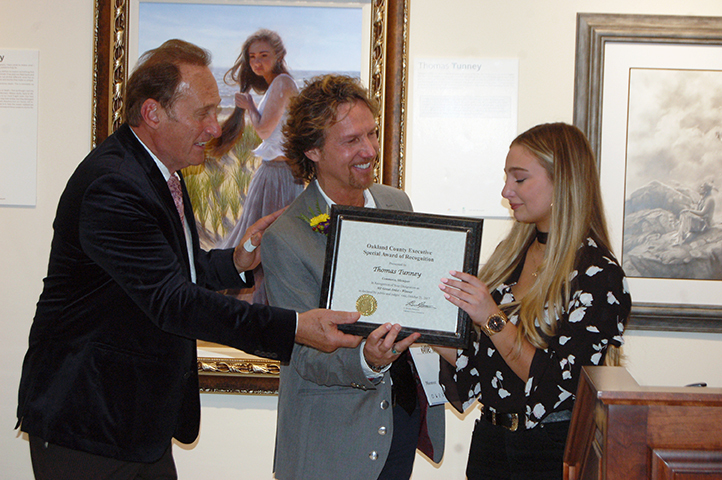 As the MI Great Artist winner, Tunney receives a solo exhibition at Park West Gallery, framing from Park West Gallery, a selection of business services from the Oakland County One Stop Shop Business Center, and a $1,500 cash prize. Tunney, a manager with Signature Sotheby’s International Realty, began painting after high school, inspired by the art of Rembrandt van Rijn. Tunney always enjoyed painting, but his aspirations to become a musician placed art on the backburner. Around five years ago, as life began to settle, he shifted his focus back to art. “I love creativity, I love colors, and I love beautiful things,” Tunney says about why he paints. 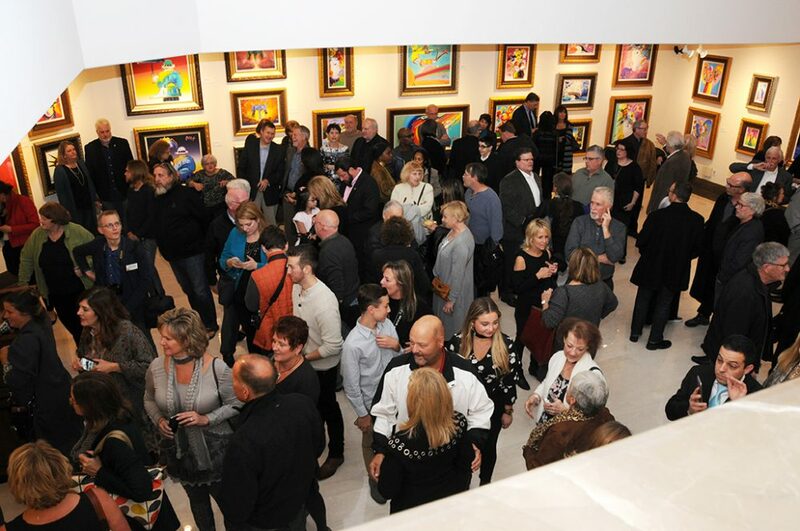 The family and friends of Michigan artists gathered at Park West Gallery to learn who won the MI Great Artist contest. Tunney paints using oils on panel. His style is a blend of Impressionism and realism, featuring warm colors and quick brush strokes and detailed hands and faces. Tunney is inspired by fleeting moments in time that captivate him. The paintings Tunney submitted are of family members, including his daughter, Brittney. She wiped tears of joy away as she and other family members joined Tunney in celebrating. 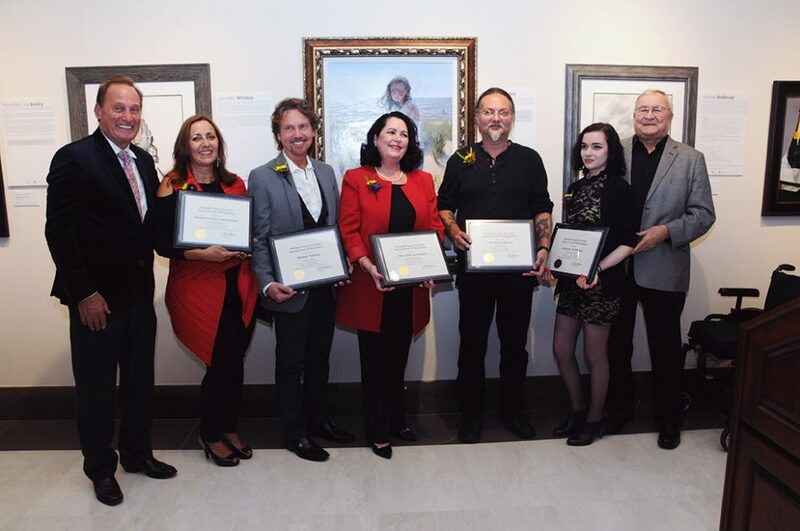 Park West Gallery Founder and CEO Albert Scaglione (far left) and Oakland County Executive L. Brooks Patterson (far right) with the 2017 MI Great Artist finalists. From left: Margret Grace McDermott, Thomas Tunney, Meredith Lea Bailey, Michael Bollerud, and Jennifer M. Whaley. The four remaining finalists each receive $375 and other prizes. The runners-up include Meredith Lea Bailey of Rochester Hills, Michael Bollerud of Taylor, Margret Grace McDermott of Clarkston, and Jennifer M. Whaley of Rochester Hills. 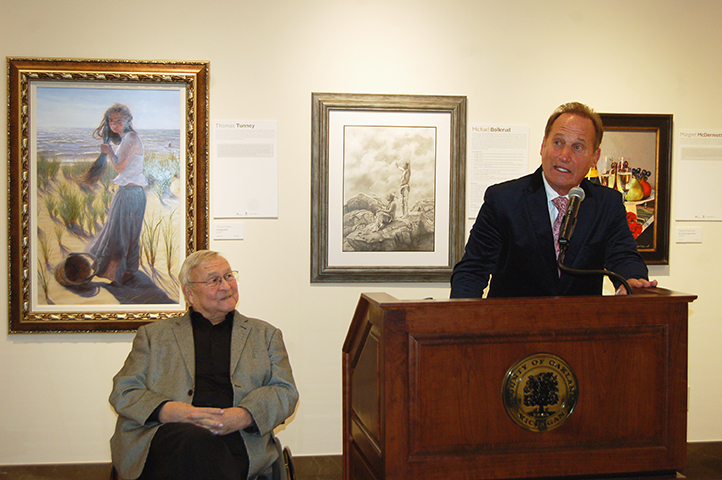 The reception also showcased an exhibition featuring Kenneth Hershenson, the 2015 MI Great Artist winner. The Clawson resident’s “I DO Know Jack!” paintings are photorealistic depictions of metallic jacks in various environments. Following his win as the MI Great Artist, Hershenson has his art featured in the Michigan-based ArtPrize contest in 2017 and received an exciting commission from JACK Casinos. 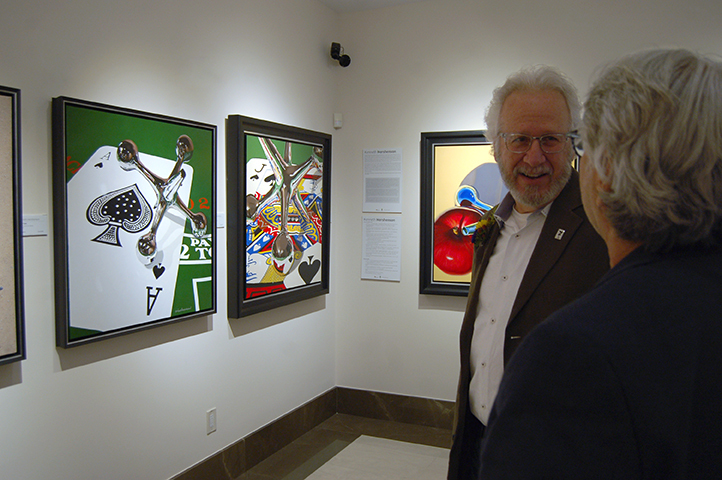 2015 MI Great Artist Kenneth Hershenson speaks with a fan at Park West Gallery. 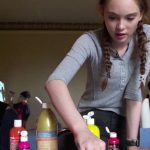 Hershenson’s artwork, along with the artwork of Tunney and the finalists, will be on display until November 2 at Park West Gallery. Visitors to Park West Gallery also took the opportunity to view the recently renovated Park West Museum, which features previously-archived works from classical, modern, and contemporary masters.